March is almost over; we are in our last week. 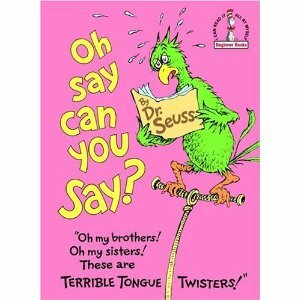 How can we at ST let it go without remembering Dr Seuss? 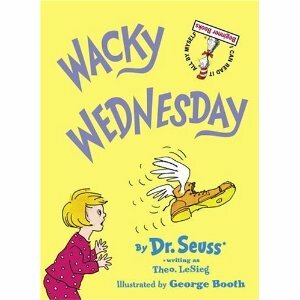 The pen name of Theodore Seuss Geisel. The writer who brought so many giggles and knotted tongues to many a bemused reader. It was his birthday on March 2nd, and I just had to post about him. We also had the World Read Aloud Day on March 9th, 2011. This is part of a literacy drive. I am a firm believer in the reading aloud of books, not just to a child who cannot yet read, but even to someone who can- the sharing aloud of books multiplies the joys we can get from them. 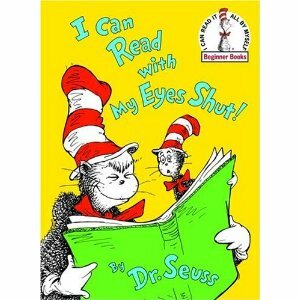 And in my opinion, there are no better books that can be read aloud to a child just beginning to read than those by Dr Seuss with the wacky words he uses, making reading such a fun thing, along with the things that we may learn. The books also lend themselves well to multiple re-readings, and I have yet to be bored by one of them, although I must have read them a million times. Last year, Sheela, with inputs from the other ST members, pretty much covered the entire gamut of his books. Here are a few more that we have loved. "The words in this book are all phooey. and your tongue may end up in Saint Looey!" So we proceed carefully, with a ticklish anticipation. Reading aloud the following pages brings about many giggles. Try saying "Bed Spreaders spread spreads on beds. Bread Spreaders spread butters on breads." Or this. "A cop in a cop's cap? Or a cupcake cook in a cupcake cook's cap? Or a fat flapjack flapper in a flat flapped-jack cap?" No, no, no, no! Not so slowly. Try reading that a little faster. At least at normal read-aloud speed. Now a little faster. A bit more. Can't? Tongue and lips gave up? I did warn you! OK, say can you say....? Oh no, no, don't run away! Anything. Cards, newspapers, signposts, labels on cans, books, anything. In black, white, red, blue, pickle colour, too. Anytime, anywhere, and anyhow. Rightside up or upside down. With both eyes, just the left eye, just the right eye, or with BOTH EYES SHUT! "This VERY HARD to do!" says the Cat in the Hat, who is back in this book, to the young cat. "...so...reading with my eyes shut I don't do an awful lot." He goes on to tell us about all that we can read about- there's no limit- and so much to learn about, and understand, and think about, and be sad, glad, AND mad about. "BUT...you'll miss the best things if you keep your eyes shut," he warns us. So come, let us read! And learn. AND have fun! A lot of things are topsy-turvy on that Wednesday, and they start from the moment the child, our protagonist, opens her eyes in the morning. A shoe is on the wall! As the day goes on, from one page to the next, the number of wacky things keep increasing. We are told how many, and invited to find them in each doulble page illustration. These, cleverly done by George Booth are easy enough for a 5 yr old, but difficult enough to spot so that things do not become boring. Things become wackier, and funnier as the story moves ahead, with upto twenty wacky things to spot at the end. A enjoyed this one thoroughly, and even now, this book comes out sometimes and she is lost in giggles. Sandhya, Wackier the better, isn't it?